Jindal Residency is a residential project by Jindal Builders And Developers . The project offers very well designed 1BHK apartments. The project is well connected by various modes of transportation. The site is in close proximity to various civic utilities. In which area is Jindal Residency located?The project is situated in Panvel, Mumbai Navi. What are sizes of apartments in Jindal Residency? 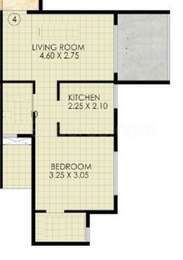 The apartment sizes in the project range from 266.0 sqft to 461.0 sqft. 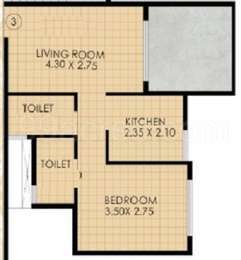 How much is area of 1bhk in Jindal Residency? 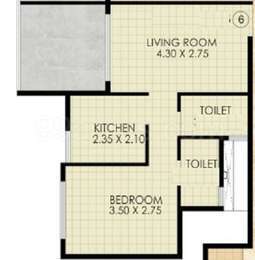 The area of 1BHK units in the project varies from 266.0 sqft to 461.0 sqft. What is the area of Jindal Residency?The total area that the project occupies is 1.07 Acres. What is the 1 bedroom price in Jindal Residency? 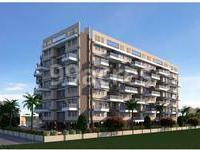 1 BHK units in the project are priced at Rs. 4370999.6386 to Rs. 4635052.8063. What is the average price in Jindal Residency? Prices of flats in the project start from Rs. 4370999.6386 and go up to Rs. 4635052.8063.